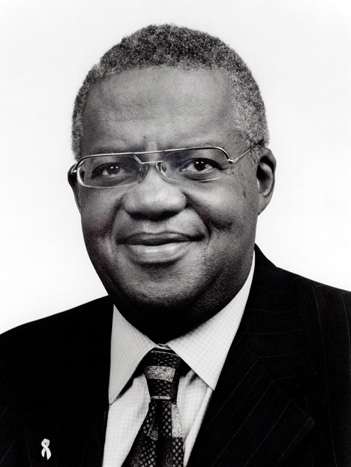 Henry W. Foster, Jr., is a clinical professor of obstetrics and gynecology at Vanderbilt University and a professor emeritus of obstetrics and gynecology and a former dean at Meharry Medical College, Nashville, Tennessee. In 1996, President Clinton appointed him Senior Advisor on Teen Pregnancy Reduction and Youth Issues, serving also as a consultant to the Department of Health and Human Services and the Centers for Disease Control and Prevention. A graduate of Morehouse College, Foster chose to enter the University Of Arkansas College of Medicine, where he endured isolation and segregation as the only African American student in his class of approximately 90 students. He overcame those challenges to become a member of the school's medical honor society and earn a medical degree from the University of Arkansas in 1958. Dr. Foster pioneered what has become a model for regionalized perinatal health care systems throughout the country. He was one of the youngest members of the Institute of Medicine (now the National Academy of Medicine) when he was elected to it in 1972. He is the recipient of the National Medical Association’s highest honor—The Scroll Merit Award.